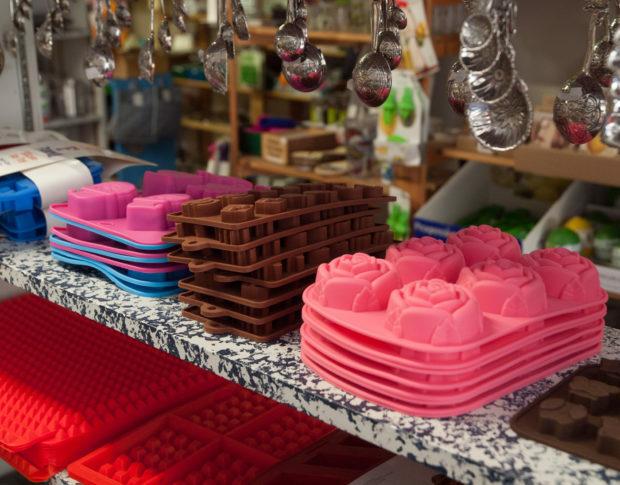 Eureka Springs store – cookie cutters galore! This Eureka Springs kitchen store has been in business here for over 39 years. Carol Friesen purchased the store 14 years ago. It seems that every resident of Eureka Springs story starts the same way. Carol fell in love with this little Victorian village and wanted to move here. One day she sat down at her computer and googled “Eureka Springs stores for sale.” Tummy Ticklers was for sale. Carol, a child of a jewelry store owner, wanted to take her retail knowledge and shift it to the food world. Carol’s customers know that they can depend upon her to have the latest in fun and unique items. Want to bake a pie? 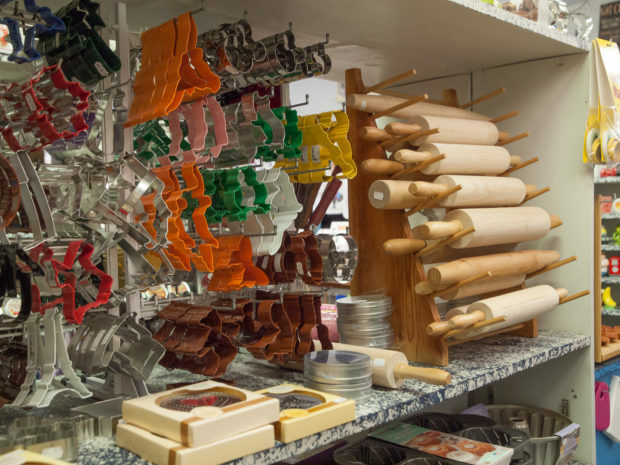 This little kitchen store has everything you need – an assortment of pie plates, pie birds, rolling pins, crust shields, decorative cutters, pastry cloths and even pie dividers ranging from 6, 7, 8, and 12 slices. Have you ever shocked yourself when chopping an onion and all of a sudden realize you’ve just taken the tip off your fingernail, or even worse nicked your finger. Here’s a great item…a stainless steel guide to protect your finger tips so you won’t do any damage. And it’s priced cheaper than a band-aid $4.99 at this Eureka Springs kitchen store. The owner of the Tummy Ticklers, Carol Friesen loves to tinker with wood. 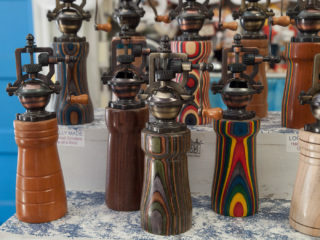 She has created unique hand crafted wood turnings for one of a kind pepper-grinders, spurtles (Scottish stir sticks), mojito muddlers, wine stoppers, biscuit cutters, or mortar and pestles. Tummy Ticklers is located just across Main Street from the Eureka Springs Courthouse.